Need food and drinks for your company lunch, Christmas party, Aggie ring day, graduation party or wedding? Smitty K's can take care of all of your catering needs. From brisket to chicken spaghetti, fajitas to wings, have your party at Smitty K's or let us to deliver to your home or place of business. 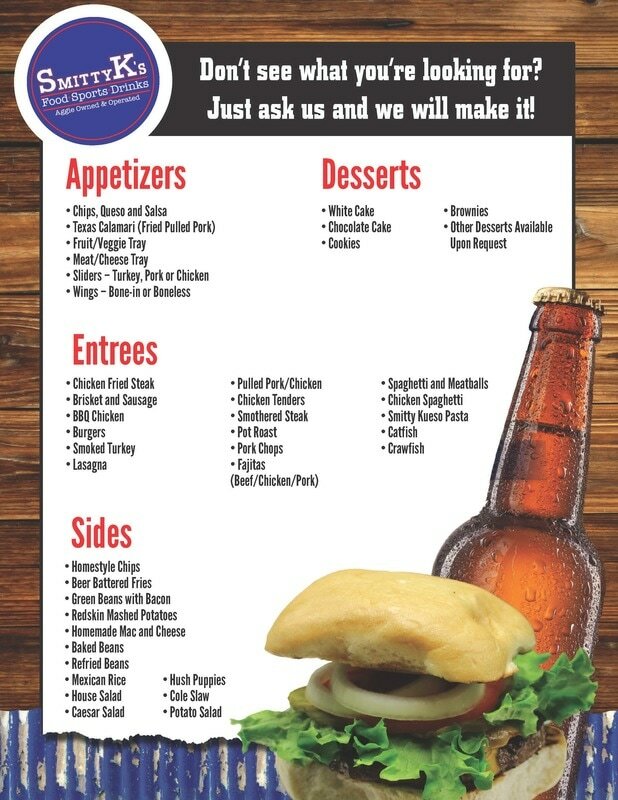 Order off of our restaurant menu or take a look at our catering menu for additional options. Give us a call at 979-383-2299 or submit your information below.